Replied by RDs.The-dts-guy on topic Ralph's Custom Level Topic! Did a quick runthrough through some levels, heres my thoughts while i played thoruhg most of them. Take it with grain of salt. Interesting concept, loved the idea, execution was poor in some places, in others it was really good. I would love to see 2nd installment of this level. New concept, didn't bothered to check for best path, still loved how it played. I LOVE the concept ,level could be so dynamic IF it wouldn't be se generic. 4 gems in 4 sides... really? this isn't 2007 when constructor was just released and any interior was fine. You could've been more creative with this. And im not mad at you that level had 10% replay value. I'm just sad that such a good concept was ruined by level being so symmetrical and repetitive. Kinda short and MP could've had trigger that makes it move when you touch it. Otherwise good to me. Loved the concept, has huge pathfinding potential. Lack of contrast between skybox, level and gems killed it, it kinda looked good but it was hard to understand where you are because everything was same. Good new concept. Got confused at gravity part. All in all good level. I tried to find replay value in this and only replay value i had was in first 2 sections. Rest of it felt like really hard mess. It had one of those challenges that only author knows how to beat. RDs.empire thinks: Hmm this seems like interesting level. RDs.empire thinks: Challenges where better executed than I thought they would. RDs.empire thinks: Tightropes REALLY didn't we told everyone they are not fun (and they are not), i won't even bother doing that challenge. RDs.empire thinks: How am i supposed to execute the moving platform challenge without getting squeezed between walls? RDs.empire thinks: Skybox is too dark and makes bad contrast. RDs.empire thinks: I am not finishing this because it's too hard and random for me. Interesting concept. 70% better than collmesh levels. Felt kinda empty. Hole in ground wasn't really creative and was just annoying. As for skyboxes, some of them felt like eyesore others where excellent and felt like good addition. 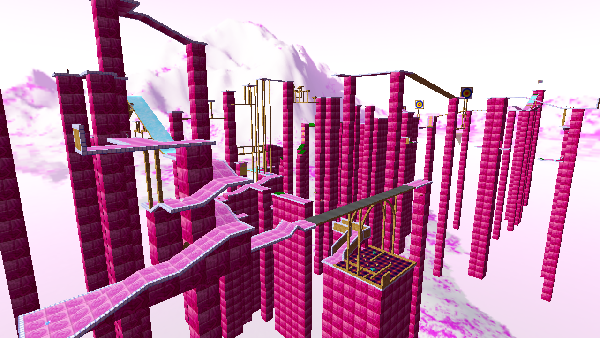 If i don't mention a level with skybox that means it was good in my opinion. 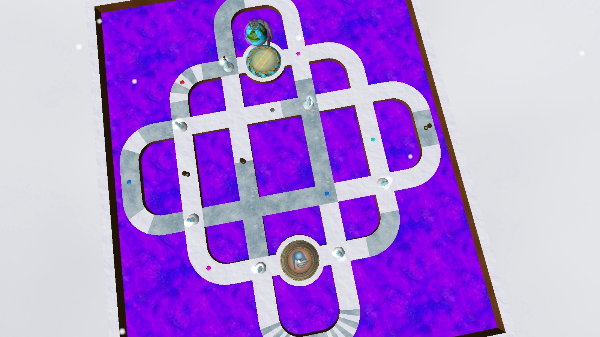 Magnetic puzzle:perfect skybox, a bit too dark lightning, cherry color looked cool. Patrolling nukes: a bit of an eyesore. Ice rink: perfect skybox, lack of contrast between level and skybox is bad though. Last edit: 14 Feb 2016 22:07 by RDs.The-dts-guy. Replied by Weather on topic Ralph's Custom Level Topic! I played Amandine's Night Walk, and it's a really neat level. How did you make invisible faces? If you use NULL texture on a face (It's pink looking texture). Export interior through legacy exporter and run it through diffix2 you can achieve such faces. Missing textures actually show up as invisible with shaders on. That level doesn't have NULL faces, it's just missing a texture. Oops. Last edit: 15 Feb 2016 06:00 by Threefolder. Thanks for your integral review, RD, and for the issue, Three. Time for some replies. First, I knew cyan gems on ice wasn't a good idea. I'll correct it in the upcoming levels. About Patrolling Nukes, I was a bit lazy making this level, sorry about that, but I was discovering the PathNodes. I'll make more efforts next time. About Wooden Curves, I'm planning to do an extended version of this level (don't expect a city or something), and indeed, the MP moving automatically kills the timing the player try to build, which leaves an obnoxious issue. I'll keep this idea of triggered platform in mind. About Annoying Winds, only now I realize this level is not really creative. Will make more efforts with levels of the kind. About WTP, sorry to read those holes annoyed you. Expect better results from me soon. Little preview : I built a little MBP-ish city. Bah, too classic. So I added pink, graffitis and more pink. This took me 4 days to build. Will be released very soon. Stunningly pink! I'm sure Regislian will love it! It looks very thorough and I am looking forward to its release. Replied by Evoker on topic Ralph's Custom Level Topic! It seems the .zip file for Kula World isn't working. It says it isn't a directory. I am on a Mac if that helps you to fix it It looks really good though, and I hope I will be able to play it!! That level looks awesome! I can't wait to speedrun it! Jessica's Blue Lava Haste is now up for download! You may head for the first page to get it! Damn, that looks awesome. Glad I got to see some pictures before release. Okay, actually played the level. I think it's super fun! After about 20 minutes of playing I got a final time of 1.252. I do have a few things to mention though. First, I think the curved walls should've been higher so you could not have the risk of jumping off the sides when you're going around them. Jumping while going around curved walls like these makes you go faster, and speed is key to the level. The main issue I had with this level is that I had countless geometry errors everywhere, to the point where I can't even see the blue lava and the undersides of half the curved platforms. I'm not sure if this is just me, but next time you make a giant map like this with a truckload of curves, split the interior. Last edit: 14 Jan 2017 03:23 by Nockess. Okay, I see your point : there's two textures missing! I'm now updating the folder so you can play the level properly. Edit : Zip updated! You may download it again. Last edit: 14 Jan 2017 12:10 by Ralph. Ludivinne's Dusty Afternoon has been released! Head for the first page to download it. 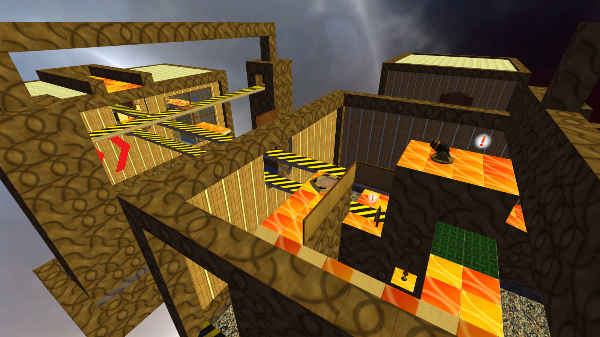 10 whooping levels are waiting for you on the first page! *imitates Ric flair* WOOOO!! Whew, I'm too lazy to use my first page as it's a big bad mess. El Crionica is released, download by clicking here! And here goes the screenshot. Kaboomization is now finished and ready to be downloaded! Just click here!